Our ability to generate information now far exceeds our capacity to understand it. Finding patterns and making meaningful connections inside complex data networks has emerged as one of the biggest challenges of the twenty-first century. In recent years, designers, researchers, and scientists have begun employing an innovative mix of colors, symbols, graphics, algorithms, and interactivity to clarify, and often beautify, the clutter. 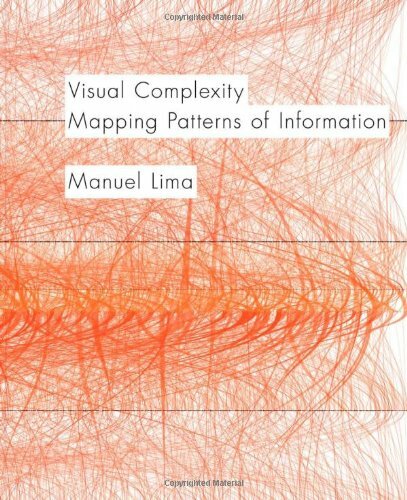 From representing networks of friends on Facebook to depicting interactions among proteins in a human cell, Visual Complexity presents one hundred of the most interesting examples of information-visualization by the field’s leading practitioners.